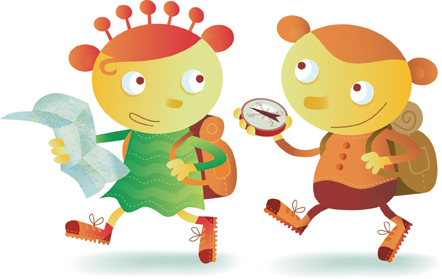 Plan (Belgium), an international developing organisation aimed at children, which works in 66 countries, asked me to create a new character/mascotte for a new educational program. This turned into the birth of ‘Lou & Lena’, whom now figure as the leading characters in 2 childrens books, 2 travel books and 2 ‘world’ papers. The books topics are ‘Children’s rights’ and ‘Children in Vietnam’. 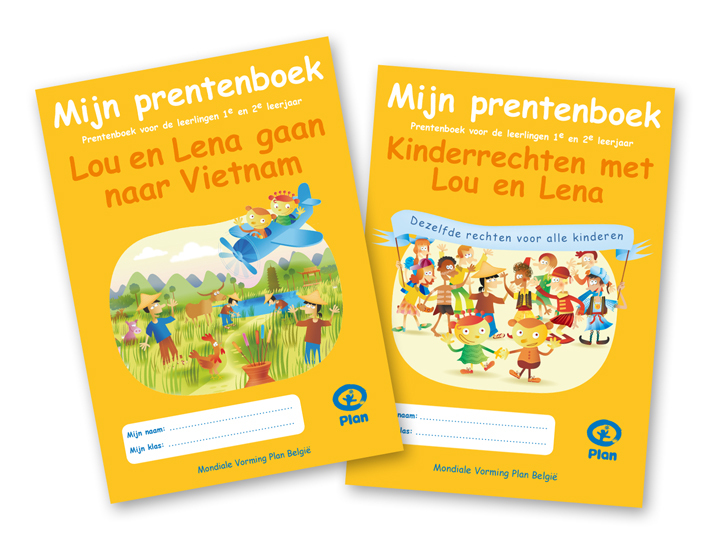 These books are AVAILABLE FREE OF CHARGE for the Belgian schools, in a french and dutch version; as well as supporting books for the teachers. Text by Anne Furnémont and An Van den Bergh, coordination by My Pham.  DTP for these books was a collaboration with Outline Graphics.